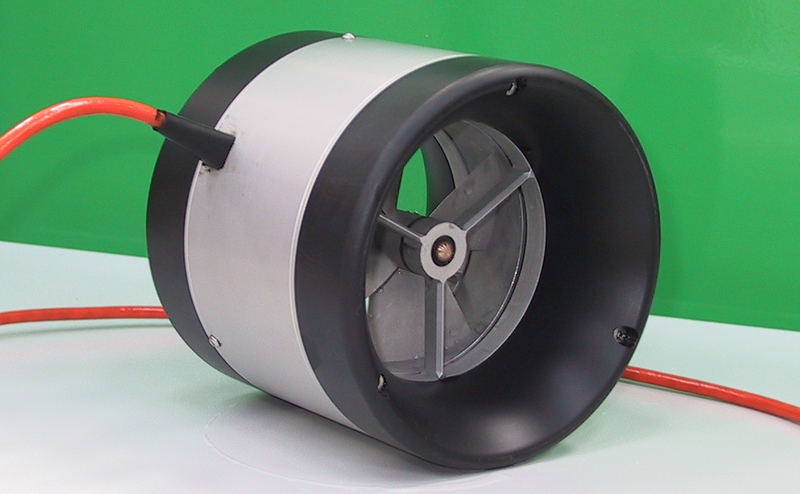 ﻿ Rim-driven thruster product data. Requires later version of Internet Explorer! 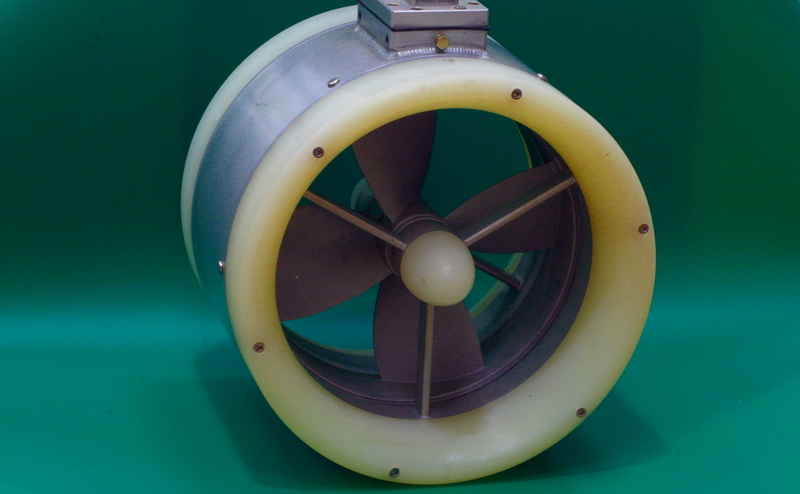 Thrusters for ROVs and AUVs are made to order. We can accommodate different lead lengths and terminations, and there is some scope for alternative mechanical mountings. Tunnel mounting for submarine and boat manoeuvring thrusters can also be provided. Standard voltage is 24VDC; other voltages on request. 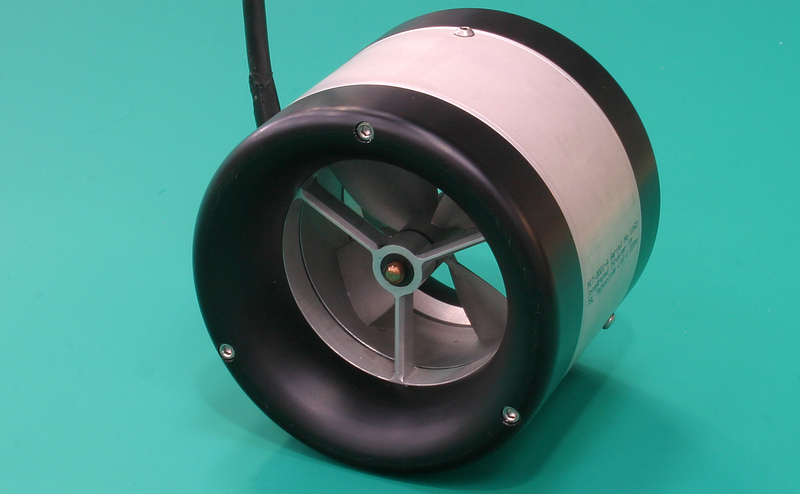 Standard thrusters are designed for slow moving ROVs where bollard pull thrust, forward and reverse thrust symmetry and good slewing performance are important. 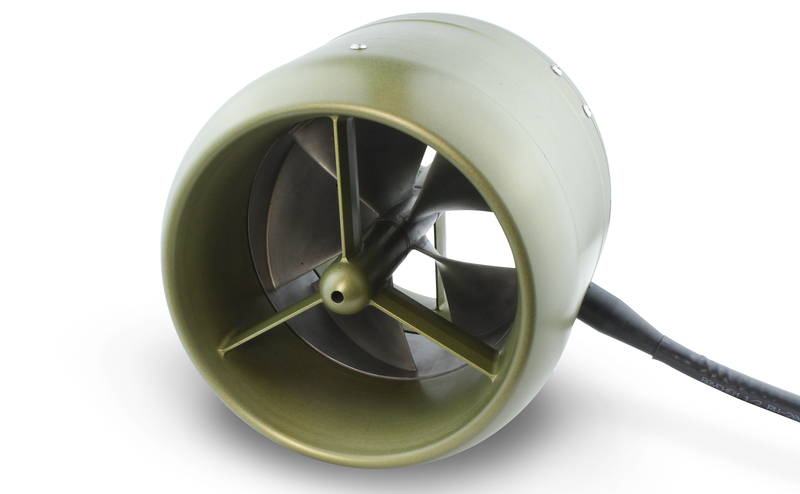 We can provide propeller and duct variations for other applications. The maximum power and hence thrust that a machine can produce is primarily limited by heating. However it is always the case that for a given thrust, a larger unit will require less power. So we give a typical power/thrust rating above which you should, if space permits, consider a larger unit. We have tested the smaller units to many times these power ratings. New sizes are introduced when demand is sufficient - please enquire about 150mm and larger sizes. 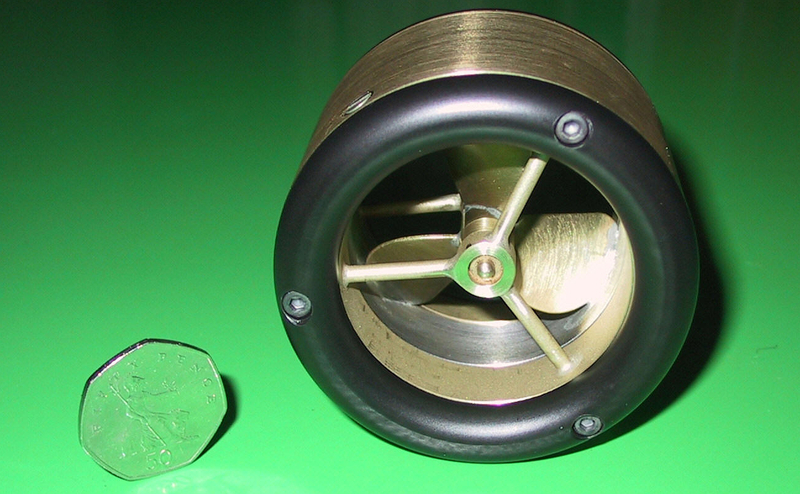 IntegratedThruster is a trademark of the University of Southampton. Products developed under licence. Data has been carefully checked and is believed reliable but does not form part of any contract. TSL Technology reserves the right to make product changes without notice. Copyright © 2007-16 TSL Technology Ltd. All Rights Reserved.